Father of mercy, your love embraces everyone, and through the Resurrection of your Son you call me and all the members of your church into your wonderful light. Dispel our darkness and make us a people with one heart and one voice, forever singing your praise, in Jesus, the Christ, our Lord. Most Christian commentators skirt around a rather obvious problem the modern reader has Christ's criticisms of Pharisaic washing rituals; the Pharisees were cleaner than just about anyone else, and in respect to several of their hygiene laws, we might find ourselves partly on their side! This is especially true with washing their hands before eating or when coming back from the market, and washing eating and drinking vessels. One might infer from today's Scripture, however, that they washed the outside of a drinking cup but not the inside, and there we see the split between modern hygiene and ritual washing. But, truth be told, we just don't know exactly what all the Pharisees did or didn't do, except that they followed hundreds of weird and minute oral laws as their means of becoming righteous before God. The point Jesus makes is this. 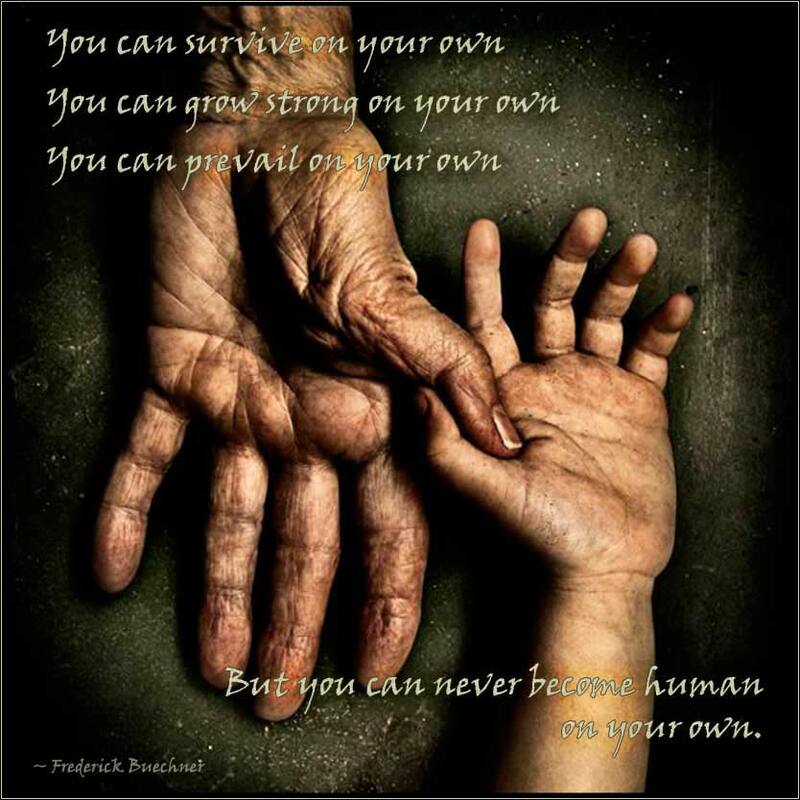 In a moral sense, in the eyes of God, which would be better: To drink honest wine from an unclean cup, or to drink wine that you had stolen from a clean one? That's what He is saying here. He is not telling us not to wash our dishes. He is telling us that being clean on the inside is what will save our souls. Our relationship with God is more important than our relationship with the earth, our souls more important than our bodies. 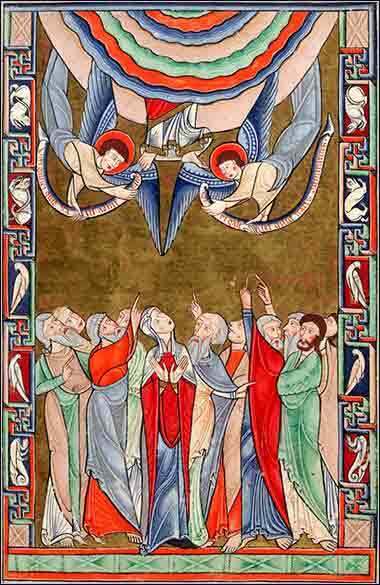 Ascension from the Hunterian Psalter, English ca. 1170. In this scene from Acts 1:9-11 we can only see Jesus' feet. The three-dimensional ornamentation in the margin is unusual for the time.